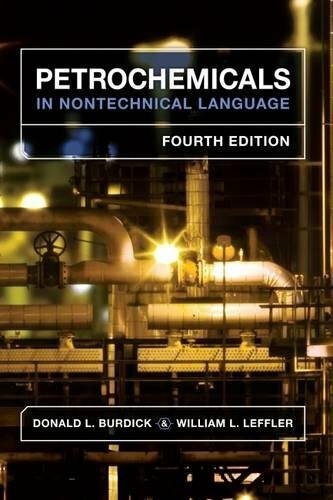 Authors Don Burdick and Bill Leffler have completely rewritten this time-honored bestseller, now the definitive book for understanding the mysteries of the petrochemical industry. With chapters on all the base chemicals and derivatives, plus seven new ones covering the Fischer-Tropsch process, polyurethane, epoxy resins and more, this is broadest available look inside the industry. Still offering readers easy-to-understand diagrams, charts and tables, plus digestible chapter reviews - this classic delivers the information that every person in the industry needs. If you have any questions about this product by Brand: Pennwell Corp, contact us by completing and submitting the form below. If you are looking for a specif part number, please include it with your message.